Promoting a dining establishment that mainly offers ethnic cuisine can be difficult since not many people are aware of or enjoy this type of food. That is why, if you are a restaurateur, you need to create highly targeted advertising materials without commercializing your business stationery too much. You can do this by simply overhauling your ethnic restaurant’s menu card. 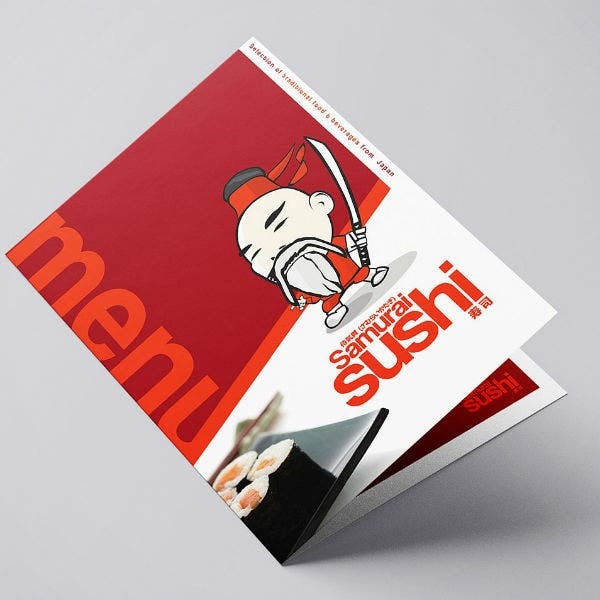 In this article, we will help you develop and create a menu card design that will fit any kind of Oriental or Asian restaurant that you may be running. This article is also filled with guidelines and tips on how to create a simple menu card that will get your customers’ attention and their money. 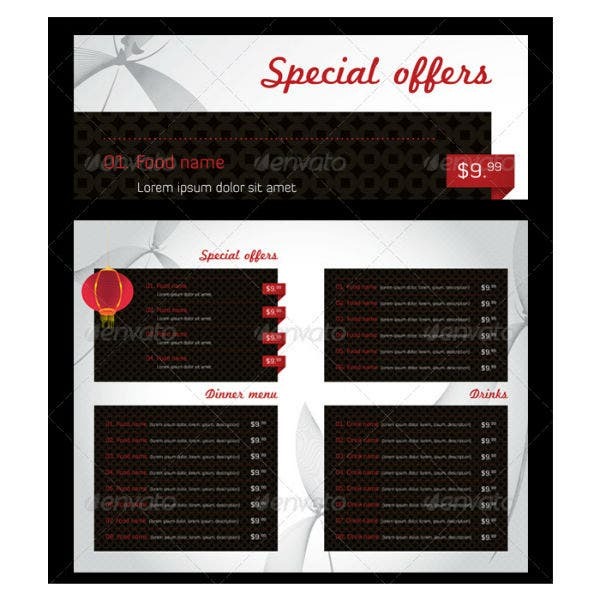 Embedded below are more than ten menu card templates that you may use for your own Asian restaurant. Most of these printable templates are available as Adobe Photoshop or Illustrator template files so make sure that you get your own graphic design software tool installed before purchasing the template of your choice. What is an Asian Restaurant Menu? A menu is a printed document that lists down all the food and meal offerings that a dining establishment provides. It is usually printed on either specialty paper or card stock. Its size will also typically vary depending on the preference of the restaurateur or business owner. 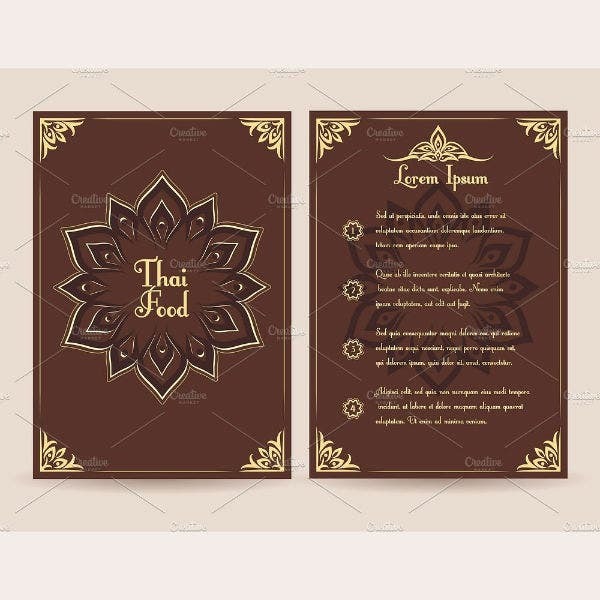 When a menu card is created for a dining establishment that primarily offers Asian or oriental cuisine, it is called an Asian restaurant menu. There is nothing wrong with using handmade card designs when creating your restaurant’s menu cards. In fact, go for this card-making method if you want to a more original and creative menu card design. 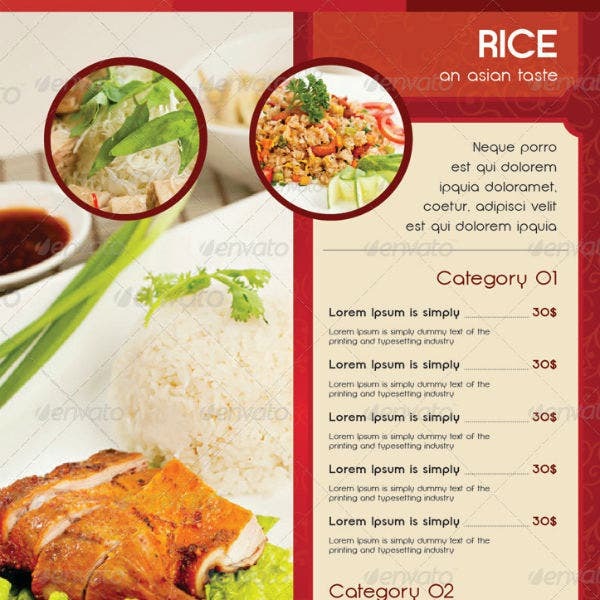 But nowadays, Asian restaurant menu cards are best created using pre-formatted restaurant menu card templates. 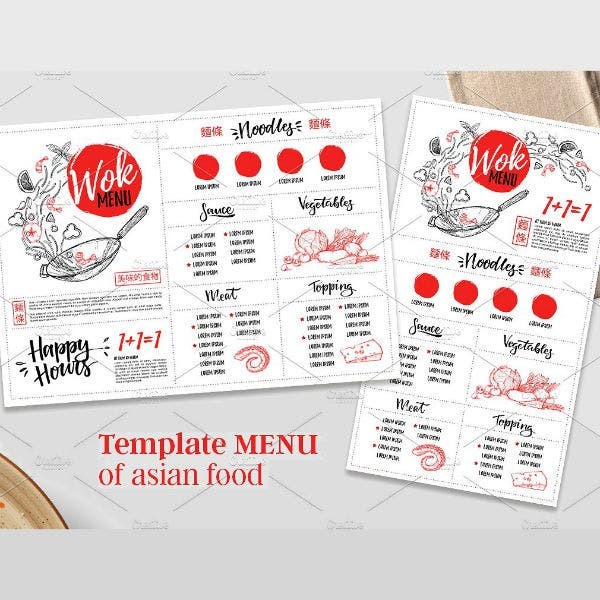 A menu template is a digital file will already come with all the necessary formatting, layout, typography, and graphic design elements needed for an Asian-styled restaurant menu card. For a more intensive article on the different steps of creating a menu card, check out the linked article. 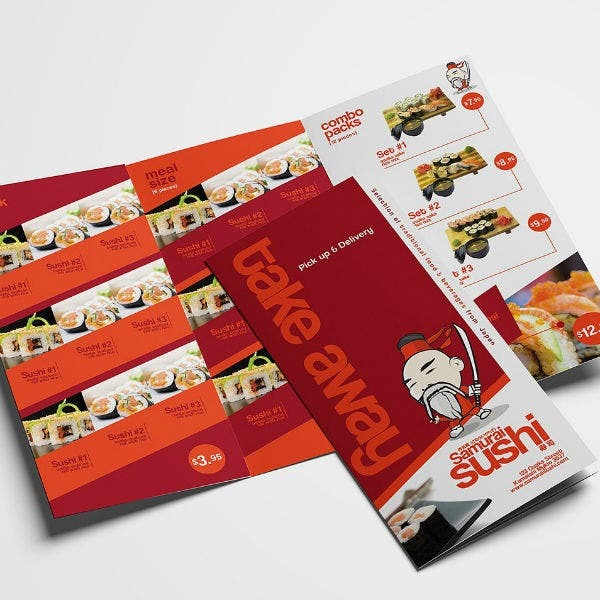 As we have mentioned earlier, this article will focus on the creation and design of Asian restaurant menu cards that will effectively help customer lead generation and promote restaurant sales. 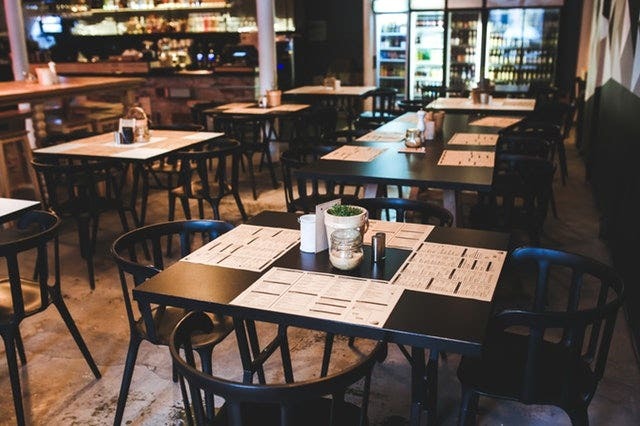 Carefully browse through this list article so that you can pick out the template design that you think will best suit your restaurant business. Deciding on what specific restaurant menu template design to choose can already be a daunting task. But this is only the first step. 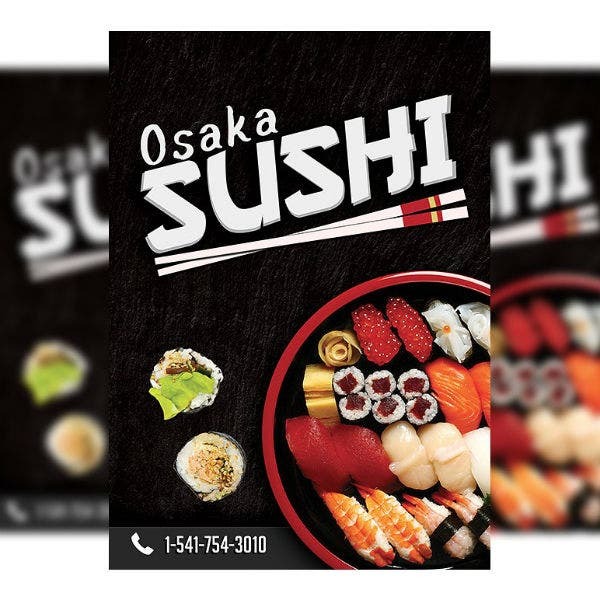 As a restaurateur, you need to make sure that your restaurant menu card design engages your customers and prompting them to order more from your restaurant. And yes, you could certainly do that—use your menu card to increase restaurant sales. You didn’t know that, did you? If this all new to you, then continue reading as we will share different examples of psychological hacks or tips that you can employ to ensure that your new Asian restaurant menu card helps you get you as much profit as possible. You may also like vintage menu templates. 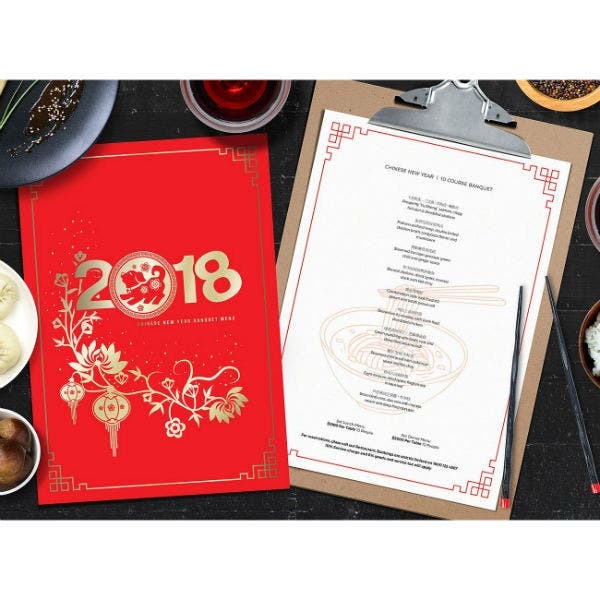 One of the first things that you should do when creating your Asian restaurant menu card is to add descriptions for most of your menu list offerings. 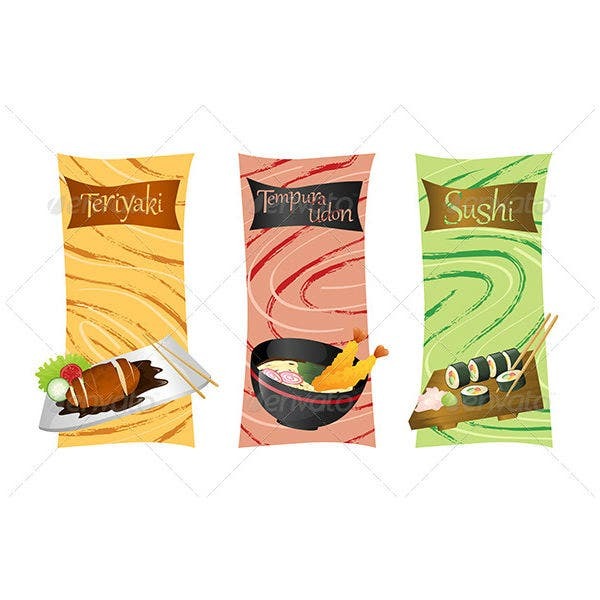 For example, if you have a sushi restaurant, make sure to describe the ingredients, how it is made, and/or explain its name as sumptuous sounding as you possibly could. Also, you may throw in a few fancy words in the menu description to help elicit an exotic and, thus, rightfully expensive characteristic for your food options. Also, you need to factor in the type of restaurant business that you have with the approach or voice you use in your menu descriptions. Fine dining Asian restaurants will work well with fancy menu card descriptions. On the other hand, if you are operating a casual Chinese restaurant that offers takeaway food service, your menu card should best include descriptions that will appeal to the on-the-go customers that frequently dine at your restaurant. You can also like restaurant menu samples. 2. Add images of your menu options. Another often overlooked menu design hack that experienced restaurateurs employ is the use of images and/or illustrations. To implement this menu design hack effectively, make sure that you only use photographs and images sparingly. Unless that that is the effect that you wish to create, do not crowd out your restaurant menu card with all the flat lay pictures of your offered food. You may also like price menu templates. Another tip is also to make sure that you take high-quality photos. In fact, you may even hire a professional food photographer if you want the final restaurant menu card to appear elegant and well-planned out. You may also see chalkboard restaurant menu templates. 3. Do not include currency signs. Studies show that currency signs present on printable menu cards or even shopping tags will often remind customers of the cost of a thing or menu item. This shows a pain point for most customers that is why restaurateurs often do not include the $ or respective currency signs on their menu cards. So if you want to apply this principle in designing your own Asian restaurant menu cards, it is best to limit or altogether just avoid the use of currency signs in your menu card. If you really have to add the price of the menu item or a meal, just write the numbers below or beside the name of the dish or food item. 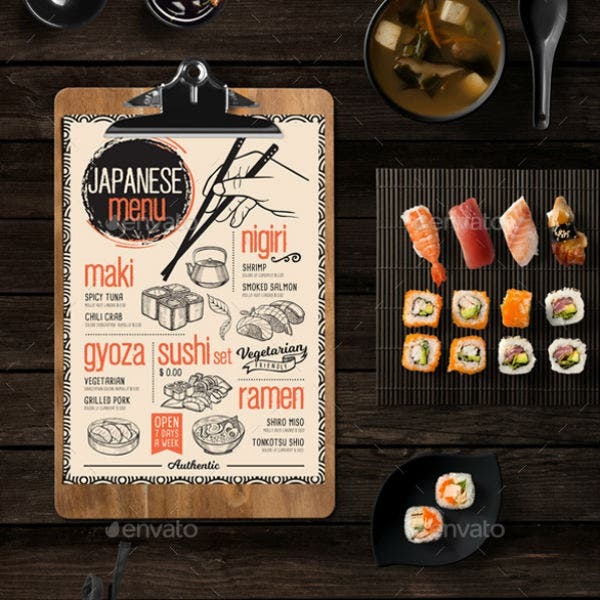 You can also like food menu templates. 4. Incorporate company logo designs. If you are operating an Asian restaurant that has a good brand recognizability, you may also add the restaurant logo design to remind customers of your restaurant’s credibility or positive image. This technique may not always work since customers have different personal preferences. So use this hack cautiously if you want to. As an added tip, you may still incorporate your restaurant logo design on your menu cards and on other restaurant stationery designs if you want to help showcase your business unique branding identity designs. 5. Choose a design theme. 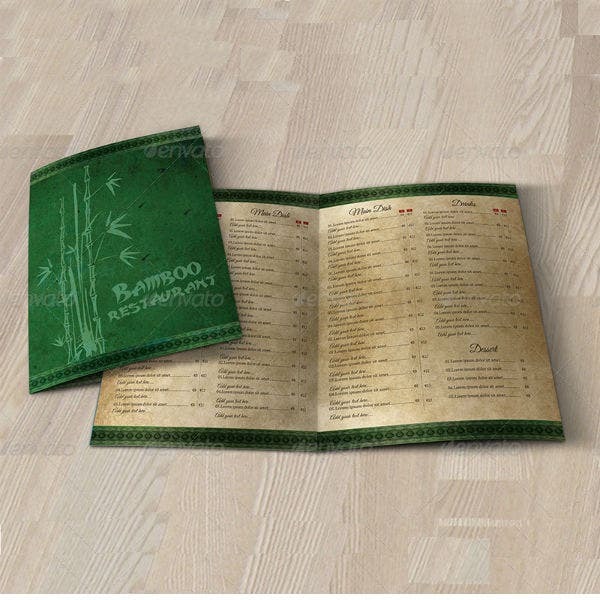 When designing or customizing your own Asian restaurant menu card, it is important to choose a theme or motif for all your menu cards. This involves choosing a specific color scheme, typeface family, and even a layout design. Your goal should be to create a personality for your own restaurant menu card. You can also like sample weekly menus. Remember that customers are often enticed by stories. Your restaurant menu card should tell a story (with the help of good visual design) and pique their interest in choosing a menu item. You may also like seafood menu templates. 6. Use a pre-made menu template. This last tip may not directly help in increasing customer orders but it will surely let you complete the menu card creation task easily and efficiently. And it is the use of a pre-made restaurant menu template. A pre-made menu template is digital templates that you can customize according to your design and ad copy needs. With a pre-made printable menu template, it will be easier for you to add apply all the other menu design hacks that we have shared above. In addition, you will in total control of your restaurant menu card’s end result. 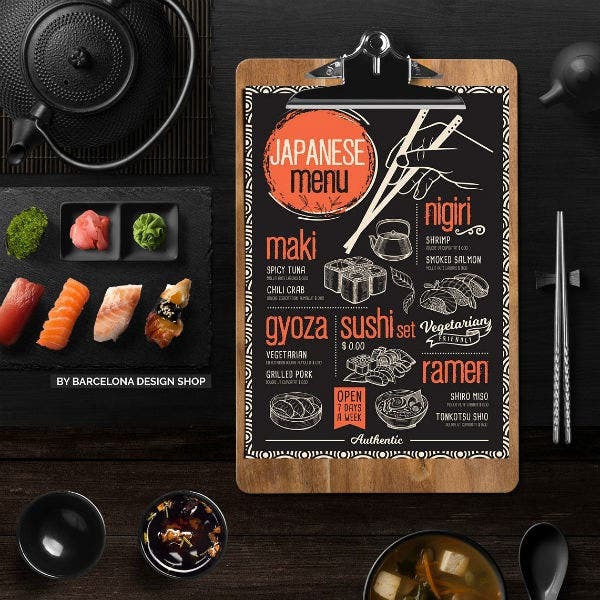 So those are the top restaurant menu design tips that any restaurateur should know in order to optimize their restaurant sales. 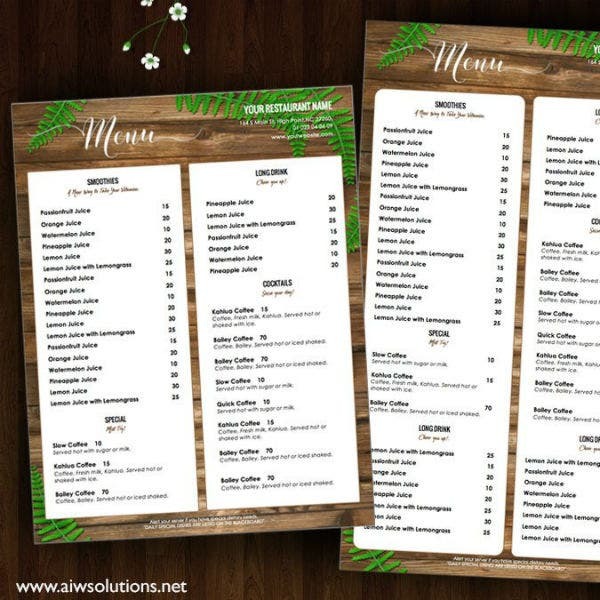 Most of the pre-made printable restaurant menu templates in this article are formatted according to the different menu design hacks that we have shared. 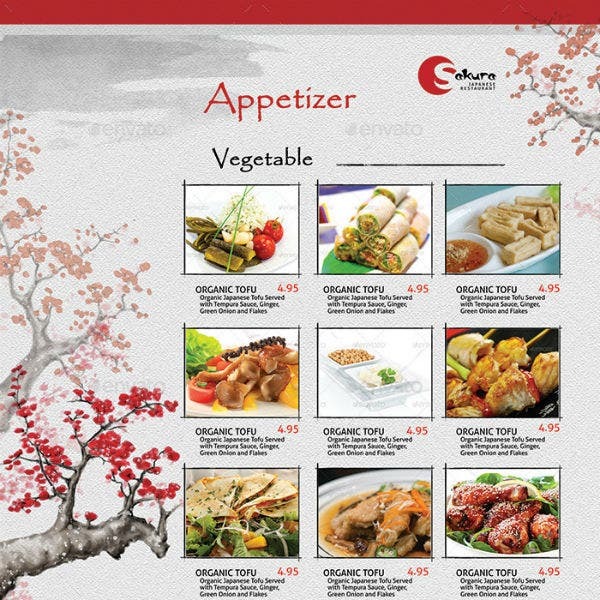 Look into each menu template description carefully before you commit to a template design for your Asian restaurant. You may also like sample take out menus. For more tips and other menu design hacks for increasing customer orders, check out the linked article. We hope that you have internalized all the restaurant menu card design hacks that we have outlined in the article. When followed and executed well, you will begin to see positive results within a few days or weeks. As a restaurateur, you should also continue refining and combining your marketing strategies and advertising business plan so that your customers will stay as engaged with your restaurant and menu offerings. Do not forget to share this article with your friends and followers on social media so that they, too, will know how to market their own restaurants. 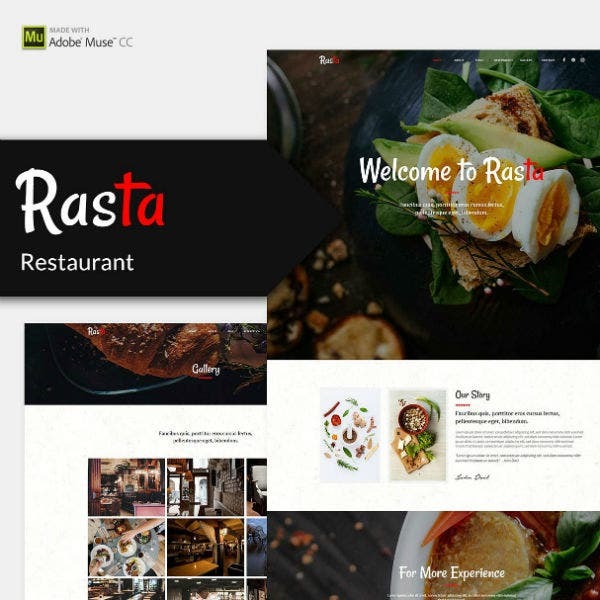 For more examples of different kinds of restaurant templates, do not forget to browse through our website.